We’ve STEEL got the sweetest customers! You don’t always get to be with your friends when they are enjoying your gifts. 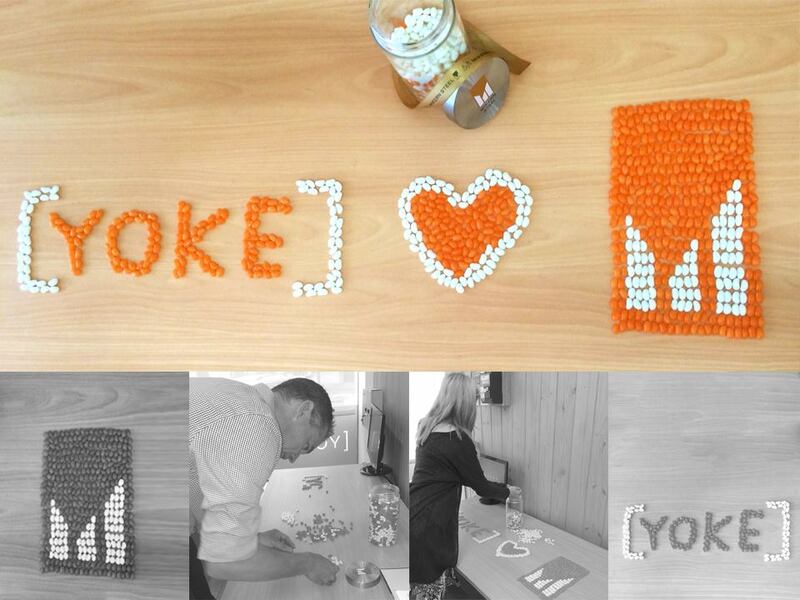 So this year, we challenged all of our friends to use their jar of lollies to create something “awesome”. The winner will be decided on the McKernSteel1 Facebook page when all of the likes are tallied when business kicks off in 2014. We were super excited to see an entry from four-time Olympian Kristi Harrower, who of course created a basketball from the orange and white jellybean selection. Another must-see jellybean masterpiece was from new-home building leaders Metricon; who created an edible village. McKern Steel’s new logo celebrates 37 years in business and a new partnership with creative agency, Yoke. McKern Steel Managing Director Michael McKern says that Yoke took their brand to the next level that matches the business that he and his family are so passionate about. “We’ve been giving jars of lollies to our friends at Christmas time for years now. Yoke’s Bendigo office employs local Account Manager Melyssa Dunlop and General Manager Peter Lodewijks, and offers the latest in graphic design and web design – straight from their creative studio based in Collingwood, Melbourne. McKern Steel will announce the winner of the competitions on January 6, 2014.